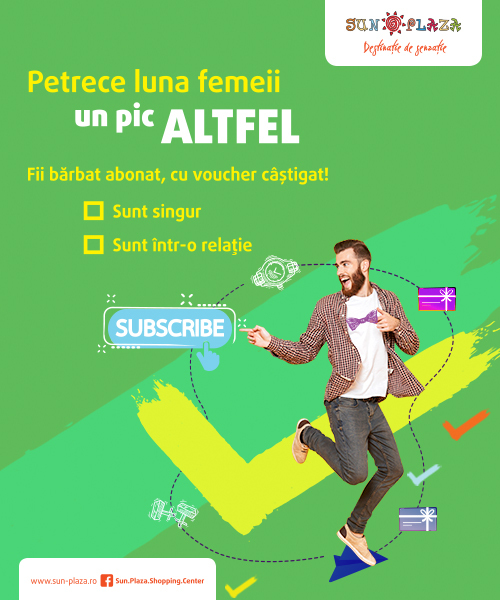 Sun Plaza and React Association, in partnership with the Blood Transfusion Center in Bucharest and Queen Maria Private Health Network, continue the “Give Time, Donate Blood” campaign. Already at its fifth edition, the campaign will run September 1-3 2017, between 9:00 and 13:00, in a fully-equipped mobile center located at the main entrance of Sun Plaza, South Esplanade. The blood collection will be performed by specialized personnel from the Bucharest Blood Transfusion Center, safely using disposable instruments. For each donation, approximately 450 ml of blood will be harvested, which will be used for patients hospitalized in the capital city, whose life may depend on these transfusions.